Moe's new Community Centre... Because we're worth it! A brand-new community centre opened its doors for the first time Monday 27th June in Moe, Gippsland. Although it’s official name is the Frank Bartlett Memorial Library and Moe Service Centre, all the kids in Moe call it the ‘Community Centre’. So as far as I am concerned, it’s simply our Community Centre. I take my son, aged eight, to the new Community Centre. Other people are arriving as well, cautiously pushing open glass doors. We are not used to new buildings in Moe’s central shopping district and nobody I talk to remembers the last time we had a new building in the middle of town. As we enter the front foyer, everyone – kids, men, women, old people, mums, dads, babies, teens and everyone in-between – is quietly saying, ‘Wow!’ and looking up, and around, and through the walls of glass windows that clearly show that there is no boundary between library, Community Centre or community. It’s clear that the community space is merely an extension of the library, and both an extension of the town of Moe, and Moe an extension of them. That the Community Centre really does belong to the people of Moe. We stream through the front doors, rubber-necked, smelling that wonderful brand-new building smell of new carpet and washed glass windows and shiny fittings. Which the kids here have never smelled before – not in Moe. Ever. It smells like new money. We criss-cross and wander between aisles of books and computers and magasines and DVDs and small meeting spaces, bright with natural light from skylights and great window-walls and soft electric lighting. The new library/community space is five times, no, 10 times bigger than our old library. And 100 times more flash. We enter spacious glass-walled rooms with exciting names like ‘Young Adults’ and ‘Gaming’ and ‘Quiet Study’. The Young Adults room has three screens ready for DVDs or whatever else young adults do with screens, looks out over the train station and hills and blue sky beyond, and has an air of privacy as if local teens have already taken ownership of this room. The Gaming room has a row of three X-boxes and screens and a shelf of G-rated videogames for those kids who are not yet young adults but really into videogames, and is lined with shelves full of books that would look interesting to most 10 to 15 year old kids – novels and comic books with Manga-looking characters, books about videogames, teen fiction and other subjects aimed at encouraging kids to read books for fun. The Quiet Study room is what it’s meant to be: quiet, free of diversions and useful for kids and adults who need a quiet space to work. 4 that have gigantic interactive screens that work just like touch-screen computers; you can use your hands to paint pictures on them, pick things up and move them about on the screen. We peek into a sparkling kitchen that’s been set aside for the use of the people and groups hiring the meeting rooms. A guy who works here tells me community groups can use these rooms and kitchen for free. We look through the glass-wall at the large room set aside for the new cafe, right next to the library. Coffee, books, computers, videogames, study rooms… All this for us and our kids. We ride up and down in the lift which is walled by shiny mirrors that reflect our smiles from ear to ear. A fabulous lift that looks like something you might see in a fancy hotel in Melbourne if you ever went to one. We climb the stairs to discover a platform that is made of glass, or something that looks like glass. Kids jump up and down excitedly; adults tap their feet. We feel we’re going to crash down through the glass into the space and pebbles below. Again, this is something we’d normally only ever see in the big city. And at the same time as dancing on the see-through floor we’re gazing straight through the wall-that-is-a-window at our beautiful, blue northern mountains, sprinkled with snow. ‘Best view in Moe,’ says a happy mum, holding her little girl’s hand. ‘Best view in the valley!’ declares a teenager. From almost anywhere in the library, you can see between aisles of books and computers Great Dividing Range stretching as far as you can see to the north-east and north-west, the central shopping district of Moe below. The southern aspect gives you a bird’s eye view of the train station and beyond, the bushland of the Strzelecki mountains. Through the western full-length windows, the trainline disappears around a bend above which you can see the twin plumes of coalsmoke from Yallourn North power station. Looking east, the trainline disappears around another bend into the lush, green farms and bush and hills of western Gippsland. A train is coming. All the kids touch the glass, watching, as The Big Banger (the clanking, beloved red train that has rattled through Moe for years) charges into the station, pauses then roars off again; except that standing on the inside looking out, you can hardly hear a thing. Our new community space and library is virtually soundproof. Outside the Community Centre, you can walk up some stairs or a ramp to paths and an upstairs lawn that has been planted but will take a few months to grow and thicken up, overlooking the train station and Moe’s central business district and offering a 360-degree panoramic view of Gippsland’s hills and mountains. Our new Community Centre has the potential to transform – indeed, has already transformed – the people of Moe. It’s a wonderful warm place for people to meet and hang out and while they’re there, look at the books and DVDs on offer. It will be a wonderful place for art exhibitions and community meetings and book clubs and study groups and, in the spring time, the rooftop lawns will be a lovely meeting place. It’s living proof that the best things in life really are free. Moe is a small place. You can’t go anywhere without your kids bumping into friends from school or sport, without saying hi to a neighbour or someone’s parent or a teacher or the lady from the vegie shop. So there is a lot of chatter going on in the Community Centre as Moe residents bump into each other. A lot of excitement and a lot of smiles and a lot of bright eyes. In general, Moe people are not rich. The people of Moe and some other towns in Gippsland tend to have larger families, and have them younger. We’re a small town. We have some good shops, and a police station and health clinic and schools, and we’ve always had a library. We have plenty of cafes although few restaurants or clubs. Our close neighbour, Newborough, has a very small cluster of shops. But we don’t have a cinema or an art gallery, a proper skate park, or any department stores except for K-Mart. We have to go to Morwell, Traralgon or Warragul for those things. 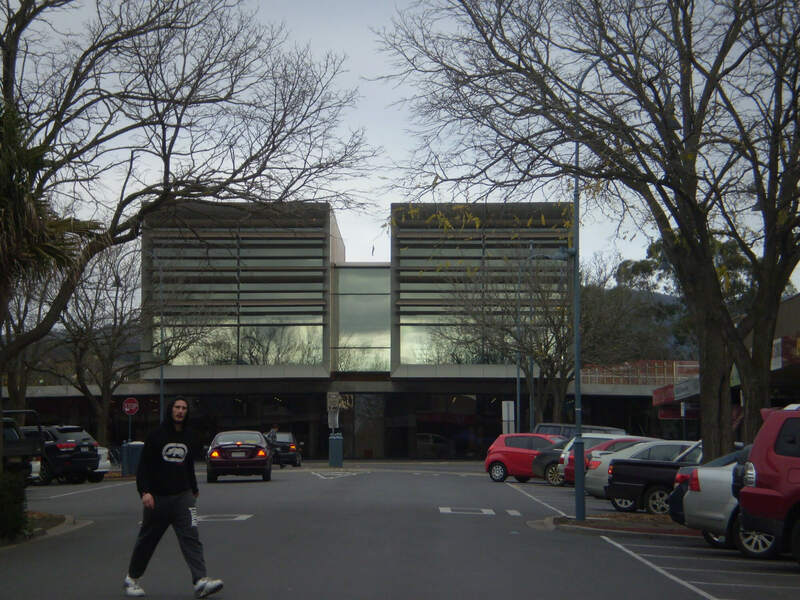 Moe people have been slagged off by other towns for being bogans, unemployed and poor ever since Moe’s main employer, the SEC, was privatised at the end of last century. So Moe people are used to being put down, not given things, not made to feel special. This building, this spanking new Community Centre, has made Moe people feel special. You can see that in the faces of everyone wandering around our new Centre. ’14 million,’ he says. Proudly. It is fantastic that all the kids growing up together in Moe now have an amazing new space to help them grow up in. A space that has the stuff they’re interested in (videogames as well as books). A space in which all people, young and old, can meet. A space in which everyone, rich and poor, has equal access to computers. A space that makes us and our kids feel like more than a million dollars and a space that is our very own.